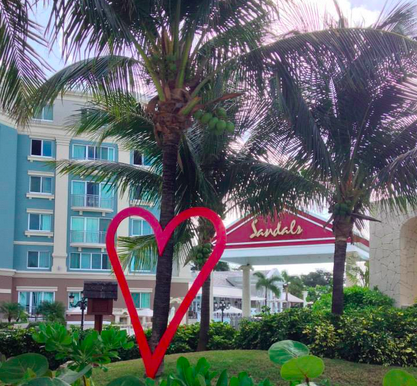 Sandals Resorts has recently asked that travel professionals and guests share their Sandals Love Story on social media using the hashtag #LegendsOfLove. Since the brand is all about love, they wanted to hear all about how we fell in love with Sandals Resorts. It's been a lot of fun reading through to see everyone's stories, many of which are similar to my own. For me, falling in love with Sandals goes all the way back to when I first fell in love with my husband, Robert. We began dating in my freshman year of high school and during one particular conversation he told me about a trip he and his family took to Beaches Negril. 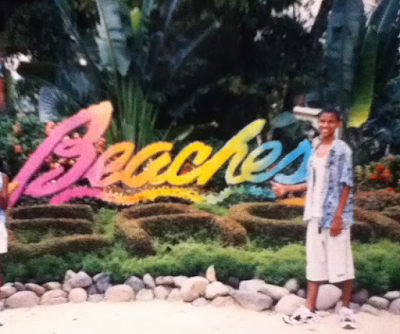 Robert in front of the sign at Beaches Negril in 1999, two years before meeting me. He painted this picture of a vacation experience I didn’t believe could possibly exist, but he assured me it did and even promised that once we graduated he’d take me to Jamaica to see it for myself. For four years I dreamed about that resort, even writing about it for one of my senior year class assignments that I still have tucked away in a memory box. 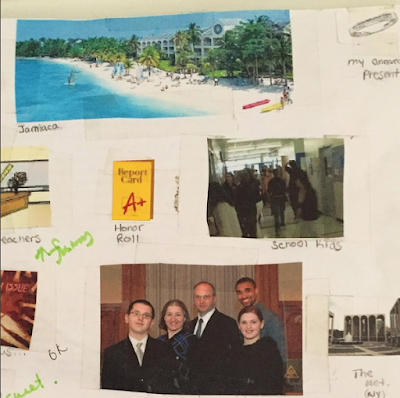 Photo of Sandals Negril taped to the front of my journal for my HS class assignment senior year. After graduation and we moved to NYC together for college. We worked full time and took classes full time so we could pay tuition, rent, and bills. Yet somehow we still managed to save up enough money to take that promised trip to Negril. It was my first time out of the country and our first trip together as a couple. We fell in love all over again that week in Jamaica, and continue to experience that feeling every time we visit a Sandals resort together. 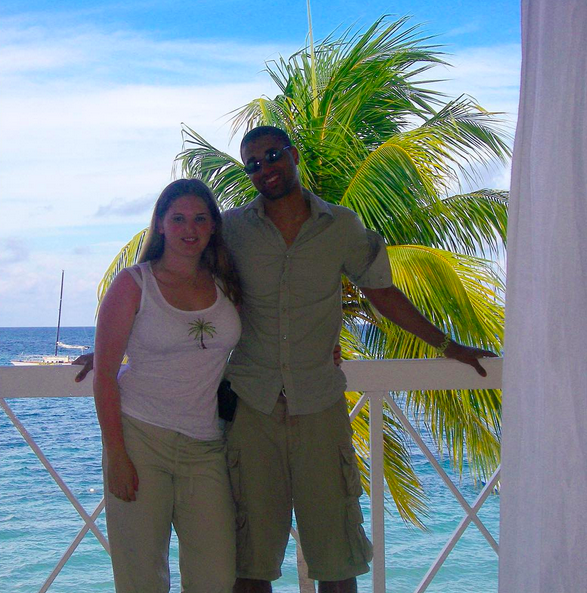 Us on the balcony of our room at Sandals Negril in 2007. That trip changed everything for me and pointed me in the direction of what I was meant to be doing with my life. When we got on the bus to leave I looked at Rob and said “I love this place so much. I just wish I could send everyone I know here.” It took me a year before those words clicked in my own head and I realized I could actually make a living doing that. At the time, I managed a front desk in a medical office in NYC. One afternoon I was sitting at my desk at work weeding through resumes for an open position I had to fill, I realized everyone I'd be interviewing already had college degrees. I felt as if even with a degree I'd be stuck doing what I was doing forever, and the worst was I didn't feel passionate about anything college was offering me. It was a huge eye opener. So I set the resumes aside and divided a blank sheet of paper into two columns. On the top of the first I wrote "What I Am Good At" and on the top of the second I wrote "What I Love To Do". I compiled a list but ultimately found myself re-reading the first line over and over. It said "Helping people... Travel." It didn't take me long to figure out how to make a career out of "helping people travel". In 2008, a year after that Sandals trip, my agency, My Paradise Planner, was born. At first I tried to sell it all, but there was no passion for me in that either. Quickly I learned that partnering with Sandals would be best for my business model, because of my love for the brand. Within two years I was selling Sandals exclusively and two years after that I was honored to earn my spot in the Chairman's Royal Club. 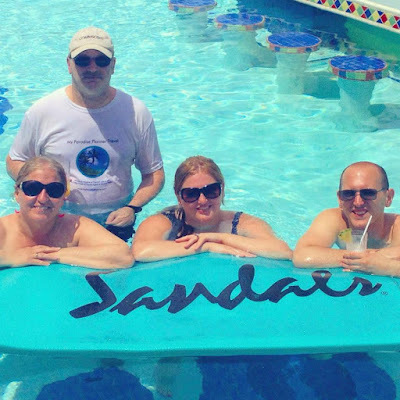 Now, after seven years, my agency is Sandals Platinum Preferred and made up of an amazing team of fifteen agents (many with their own Sandals love stories) including Rob, who quit his job to work at home with me. 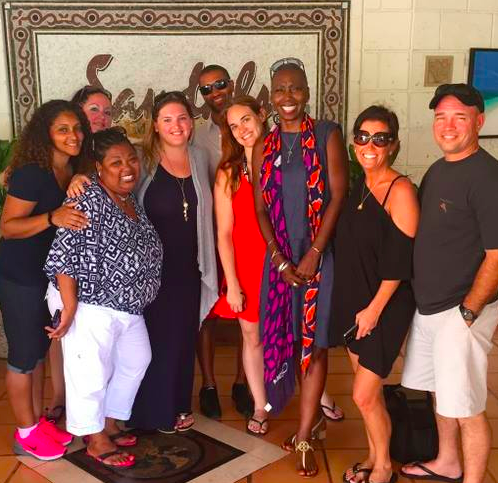 Nine of the fifteen My Paradise Planner team members together at Sandals Montego Bay in Jamaica. Introducing my parents and brother to Sandals Resorts! 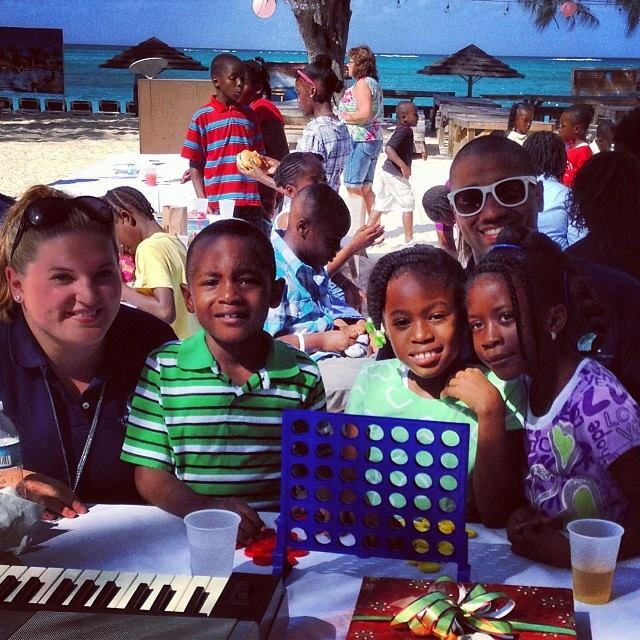 thanks to the Sandals Foundation! Though my love story wouldn't be complete if I didn't mention all of the Sandals family I've gained over the years. I've met some of the most amazing people I know through my relationship with Sandals. 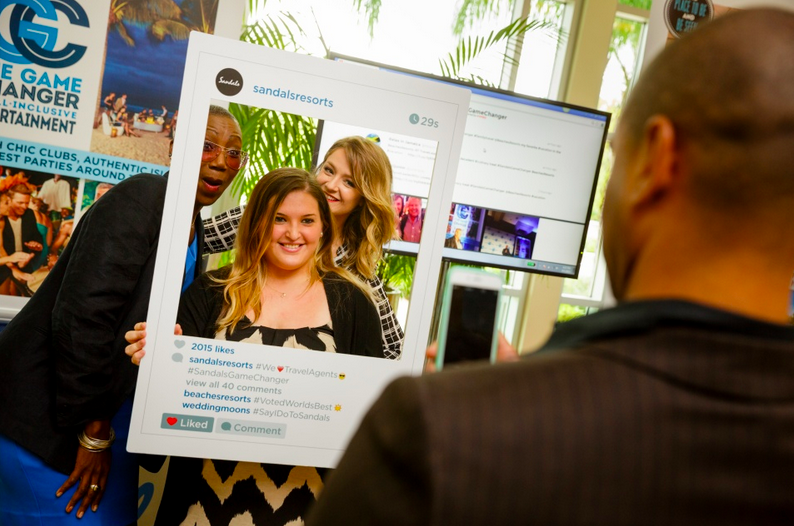 With TeamSandals friends taking a #SandalsSelfie at the Orlando Unveiling. Celebrating a big win at STAR awards with fellow travel agent friends. 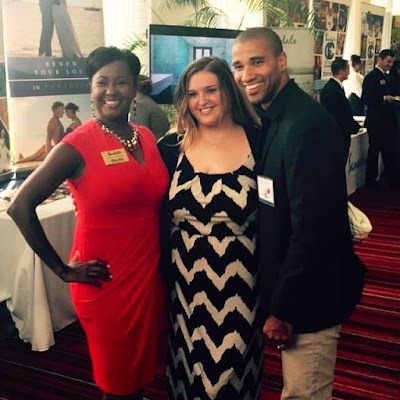 With the Sandals Weddingmoons Director of Romance, Marsha-Ann Brown. 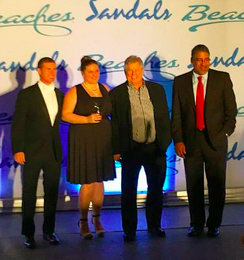 With Sandals Senior VP Of Sales, Gary Sadler. Thank you for all you do for us travel agents, Gary! Chairman Butch Stewart, and the Jamaican Minister of Tourism Dr. Wykeham McNeill. 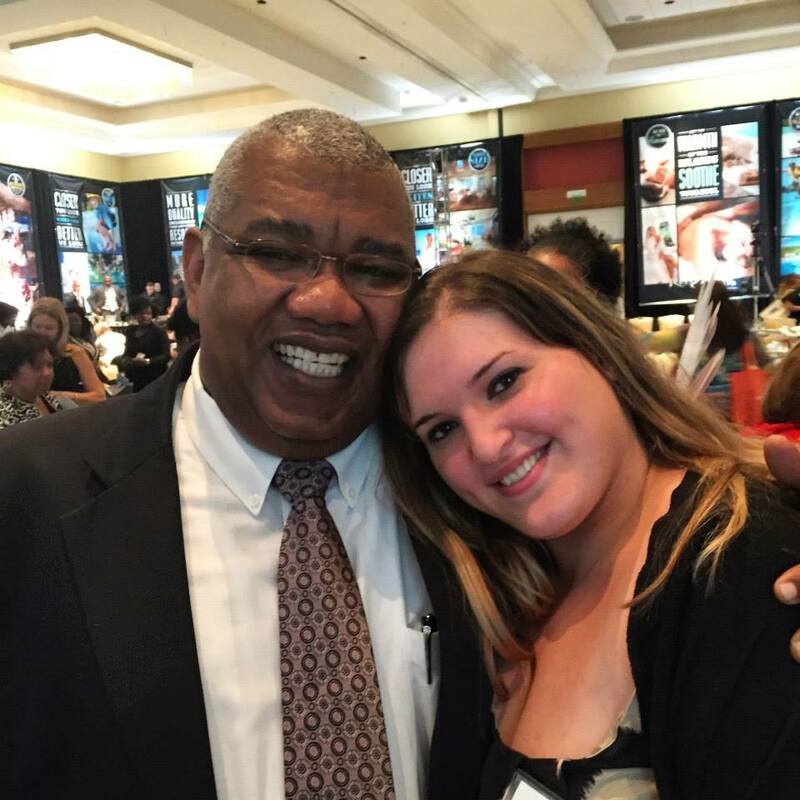 There is nothing like standing in a room full of Sandals employees and fellow agents who you consider friends and co-workers and feeling the fullness in your heart because you love and know you are loved in return. 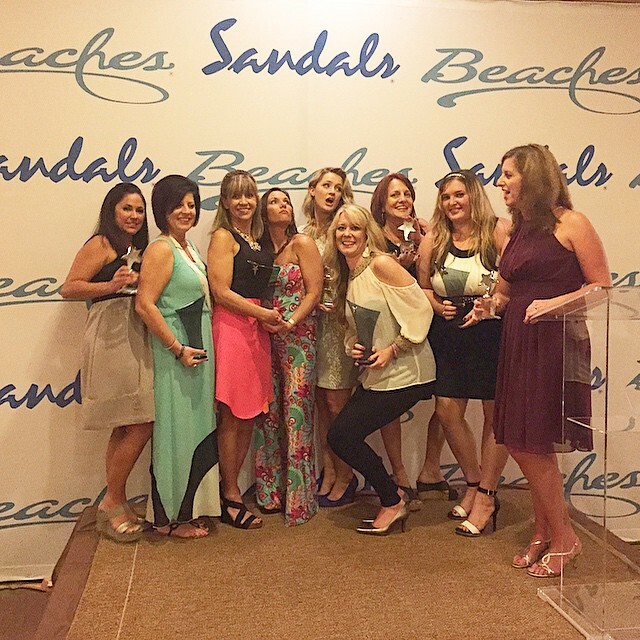 Sandals loves us and we love them too! !